Pizza is one of the few things everyone around here will eat, but thick white flour pizza crust does not do good things for Steve’s blood glucose levels, so we are trying to get a similar flavor while using higher nutrient carbohydrates (meaning eggplant is better for you than white flour) and healthy fats. 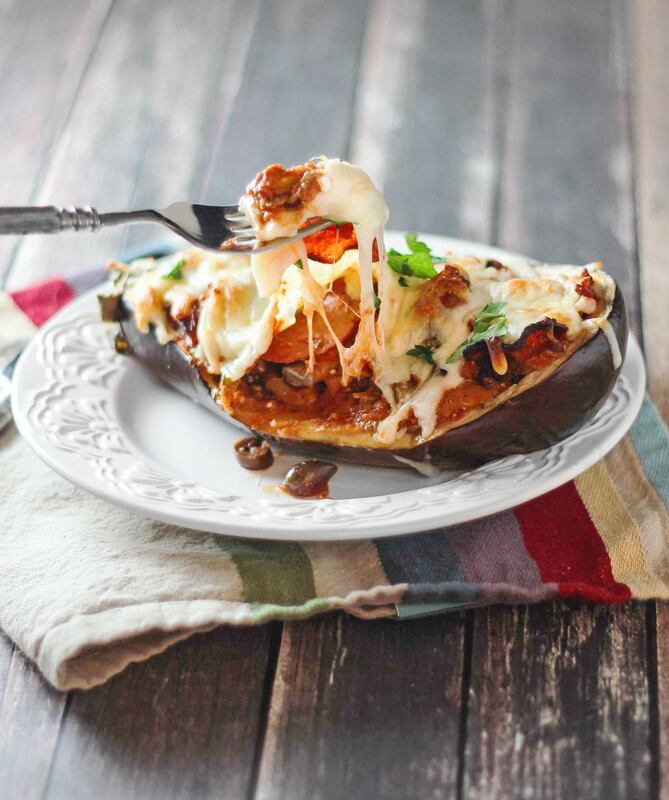 Well, this Pizza Stuffed Eggplant not only has the pizza flavor, but just might be even better! So delicious! I am an eggplant lover anyway, but Steve is not, and he even liked it. I made my favorite quick homemade marinara for this, but you can easily used sauce from a jar if you have one you like. I have included the recipe for mine here, and it doesn’t take long at all to put together, and it can simmer while you do the rest. 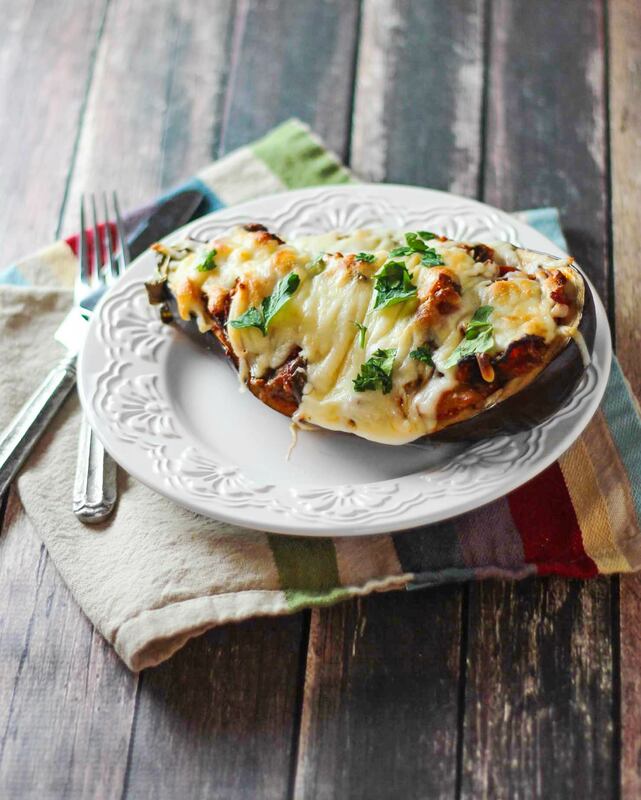 Other than making the marinara, if you are making your own, the first step to this recipe is to cut the eggplant in half and cut the flesh out of the inside. You can just discard any that is really seedy, but save the rest to us in the filling. I am saying this recipe makes 3 to 6 servings because two eggplants only stuff 3 halves really full. But, I absolutely could not eat an entire half by myself. Perhaps if your eggplants are a bit smaller, it might fill all four halves with smaller servings, but I only seem to be able to find large eggplants this time of year, so I have not tried the recipe with small ones. 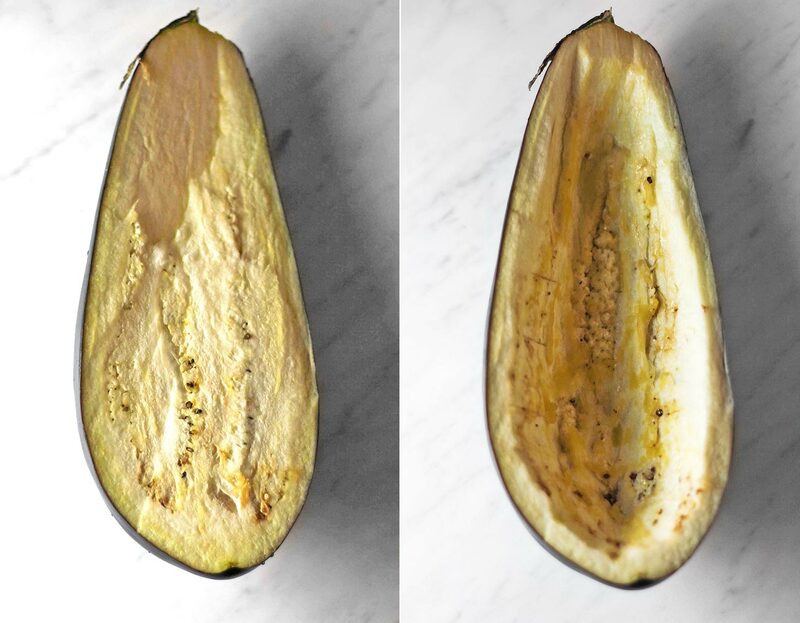 2 tablespoons olive oil, plus more for brushing on eggplants. Heat olive oil in a large pot. Add garlic, basil, oregano, and cayenne pepper. Cook just until fragrant being careful not to burn the garlic. Bring to a boil and then reduce heat to medium low to simmer. Simmer for at least 30 minutes before serving or using in another recipe. Cut the eggplants in half lengthwise, and remove the inside flesh leaving 1/4" to 1/2" flesh intact. Chop the eggplant that you removed. You can discard any that is particularly seedy. Brush halves with olive oil and sprinkle with salt. Heat olive oil in a large skillet. Add eggplant, mushrooms, green peppers, and water. Saute stirring frequently until vegetables are soft and water is almost gone. Stir in marinara, olives, pepperoni, and Parmesan. Stuff mixture evenly into eggplant halves. 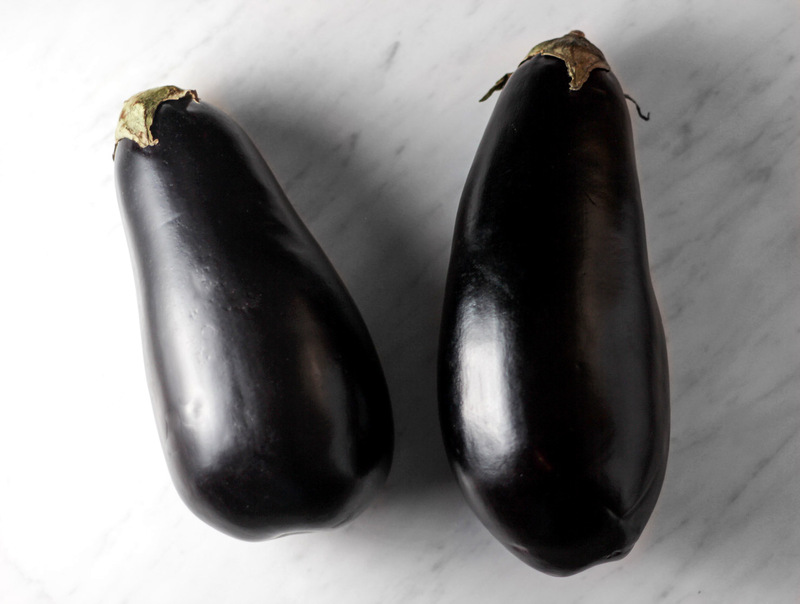 Place eggplants on a large baking sheet and bake for 40 minutes. Remove from the oven and top with Mozzarella. Return to the oven and bake for an additional 15 minutes or until cheese is melted and beginning to brown. How many a day is that? 😉 Great and healthy idea! Thank you! In theory, you can eat as many a day as you want, but I couldn’t eat a whole stuffed half in one meal. 🙂 These are seriously filling! This looks like such a creative and delicious gluten-free pizza! This looks insanely good! I’d just leave out the pepperoni and use cashew mozzarella. This is on my list to try! Pinned. Sounds good! cashew cheese is yummy too.